It was an honor to recognize Rev. 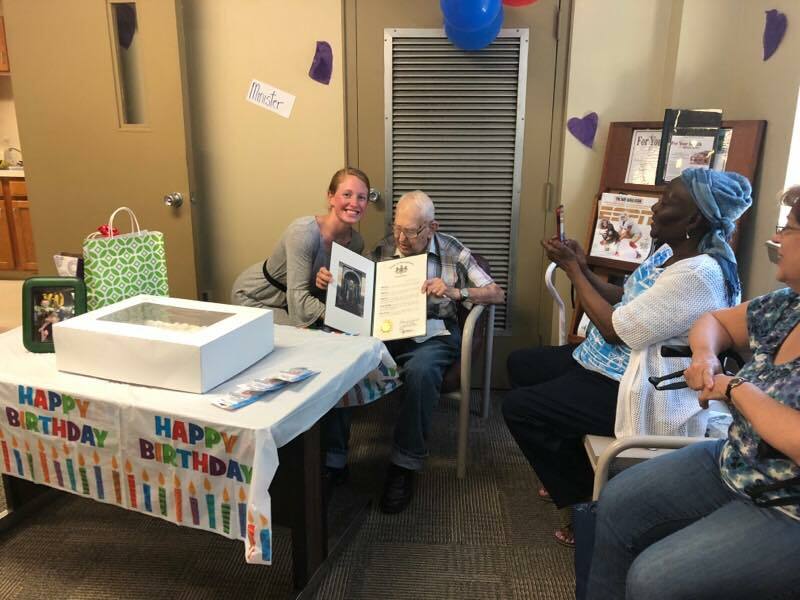 Harold Ladd Sr. on the occasion of his 100th birthday. Rev. Ladd served our country with distinction during WWII and has lived many wonderful years. We thank you for your service as part of the “Greatest Generation” and wish you many more blessings to come. 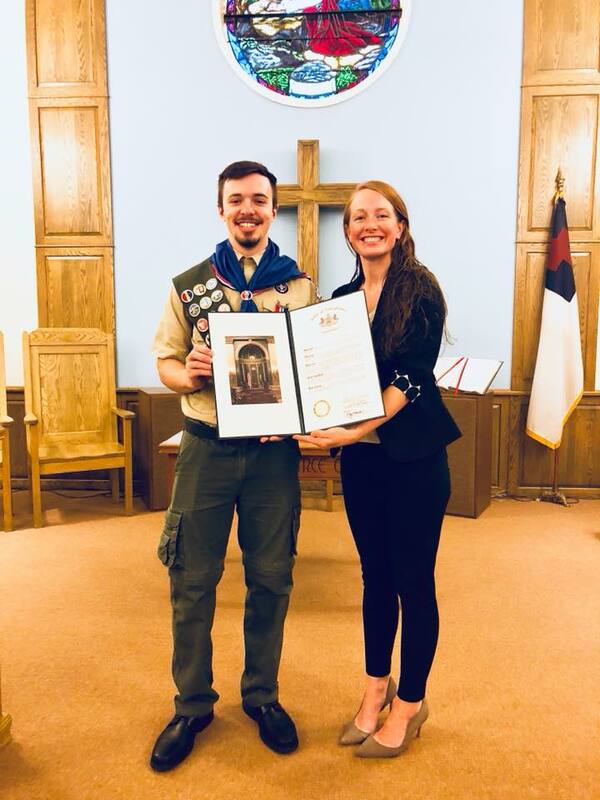 Congratulations to Erik Cravotta of Troop 300 in Stroudsburg for obtaining the rank of Eagle Scout. For his Eagle project, Erik refurbished the 9/11 Memorial Garden for Monroe County United Way. Thank you for your service to our community and we wish you all the best in your next steps! On Wednesday, the Senate approved legislation that will create a new threat monitoring system to help reduce school violence. Senate Bill 922 creates the Court Assessment for Non-narcotic Medication Substance Abuse Treatment Program and is one of several measures in the General Assembly that address the growing opioid epidemic.